Options trading can vary from simple strategies, such as Covered Calls to complex strategies, such as Ratio Put Backspreads, Iron Butterflies, and Combination Spreads. Some brokers offer platforms that facilitate order executions of options strategies but fail to understand the nuances and true risks of options trading strategies. For experienced options traders, the lack of understanding among brokers can translate to restrictive risk policies. We’ve narrowed the universe of brokers in this section to the shortlist who stand above their peers when it comes to options trading. While it’s usually in the interests of the trader and the broker to lean towards more conservative than aggressive risk management, it’s best to select an options broker who fully understands the wide gamut of options strategies available. Beyond transaction costs, fast and accurate order execution and a deep understanding of options strategies are pivotal to selecting an options broker. These options brokers combine powerful platforms, tools, education, and order execution with competitive transaction costs. For fast order execution, highly knowledgeable staff who can answer a broad range of options trading questions, extensive learning resources, highly flexible platforms customizable to specific options trading strategies and competitive costs, both thinkorswim® and tastyworks feature as the best overall options trading brokers. For real-time quotes, accurate options chains that have been adjusted for splits and dividends, free options strategy tools, risk graphs and customizable screeners, thinkorswim® and tastyworks rate highly. Where thinkorswim® stands out is the broader range of tools; for advanced options traders, it’s hard to beat thinkorswim®. The pricing at thinkorswim® is $6.95 + $0.75 per contract fee for internet transactions and $19.99 for options assignments and options exercises. tastyworks charges active traders $5 flat rate for stocks + $1.00 to buy options (all closing trades are commissions free). Another important consideration for options traders is the cost of margin. The base rate at thinkorswim® is derived from their parent company, TD Ameritrade, and is 8.00%. For $49,999, the margin rate is 8.75%. These options brokers compete on price while still offering powerful trading platforms. Base rates and confusing tiers are a thing of the past with TastyWorks. The fee to open an options trade is $1 per contract. All options trades incur a clearing fee of $0.10 per contract, but other than that TastyWorks has a $0 per contract commission cost on all closing trades. If you prefer flat rate pricing, eOption is the best choice for an options broker. EOption charges a fixed base rate of $3 plus $0.15 per contract. Keep in mind that eOption does have an inactivity fee of $50 unless an account has been traded at least twice over the prior 12 month period or if the balance falls below $10,000. Platform and data fees can also add up, and at EOption they can rise above $200 monthly. The margin rates at eOptions are among the most competitive in the industry with a base rate of 5.50% up to $49,000 and as low as 3.00% for amounts over $1,000,000. 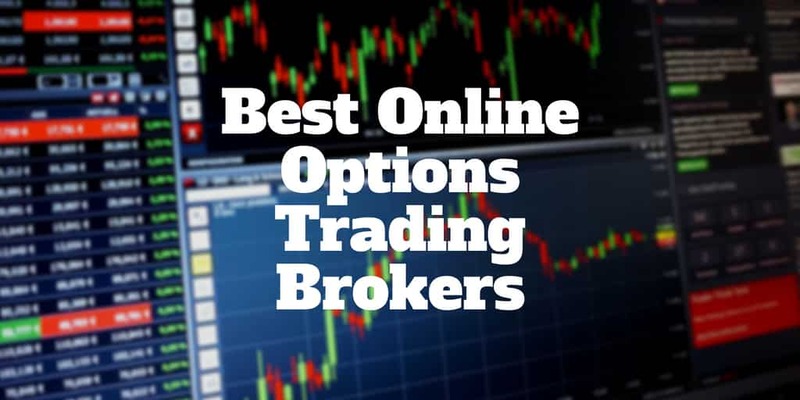 These brokers offer options traders powerful trading platforms at competitive prices. TradeStation provides an award-winning trading platform with a plethora of tools for experienced options traders to design, test and analyze customized options trading strategies. The tools are powerful and not targeted to the somewhat inactive options trader. Instead, they target experienced, active and advanced options traders. TradeStation has an expensive monthly fee of $99.95, though it is waived for account balances north of $100,000 or for active traders who execute orders of at least 5,000 shares or 50 options contracts. TD Ameritrade’s thinkorswim® platform is considered best in class among many experienced options traders. thinkorswim® was a standalone company until its acquisition by TD Ameritrade and its powerful tools and options trading platform remains deep in its DNA. For advanced risk analytics and understanding how the Greeks of theta, gamma, delta and vega affect options prices on risk graphs theoretically and practically, thinkorswim® leads its broker peers. These brokers offer options traders advanced research capabilities. For options traders who don’t need the professional grade suite of tools and trading platform offered by competitors such as thinkorswim® yet are keen to perform in depth research prior to executing trades, Charles Schwab and Fidelity offer attractive solutions. The options trading platform, owned by Schwab, has extensive research capabilities, particularly in its Toolbox, which includes its trademarked IdeaHub, Strategy Scan, Dragon, Trading Patterns and Pricer tools among other features. Schwab also provides beginners a platform called StreetSmart.com and StreetSmart Edge for advanced traders, as well as live and recorded webinars, and regular options market commentary. Fidelity stands above its peers when it comes to research capability with world class offerings from providers such as S&P Capital IQ. The full suite of research at Fidelity is available to customers. Fidelity, along with Schwab, has physical locations too, which allow them host educational seminars and visit one-on-one with company representatives to better understand options trading.